Jakob got his first pair of glasses this week. A couple of weeks ago I noticed that Jakob was squinting a lot and so I took him to get his eyes tested. 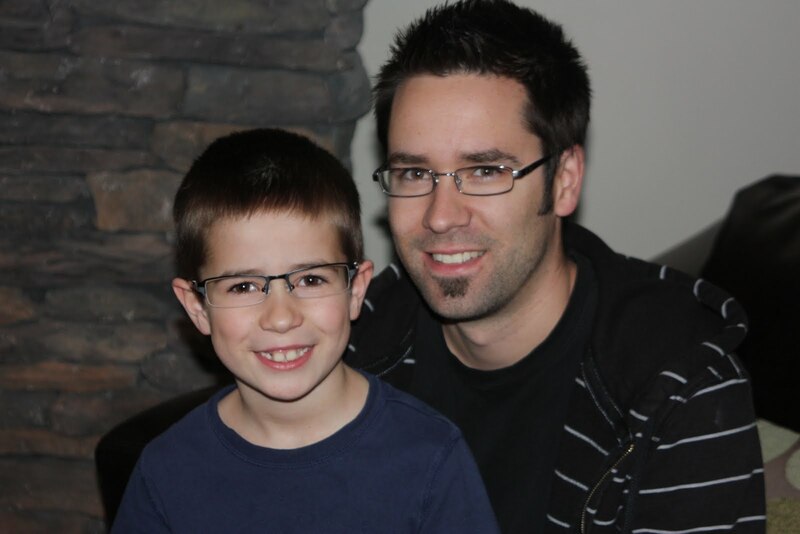 It turned out that he needed to get glasses. 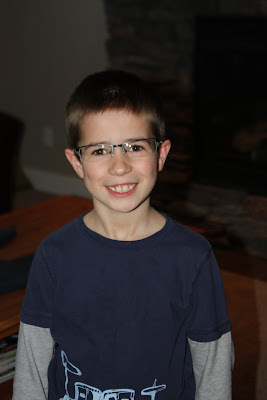 He has a pretty small face, so it's pretty hard to find glasses for him but we found a pair that he liked. He was really excited when he could read the time on the microwave from across the room. Poor kid, all this time he thought fuzzy was normal! Jakob your glasses look fantastic!! !